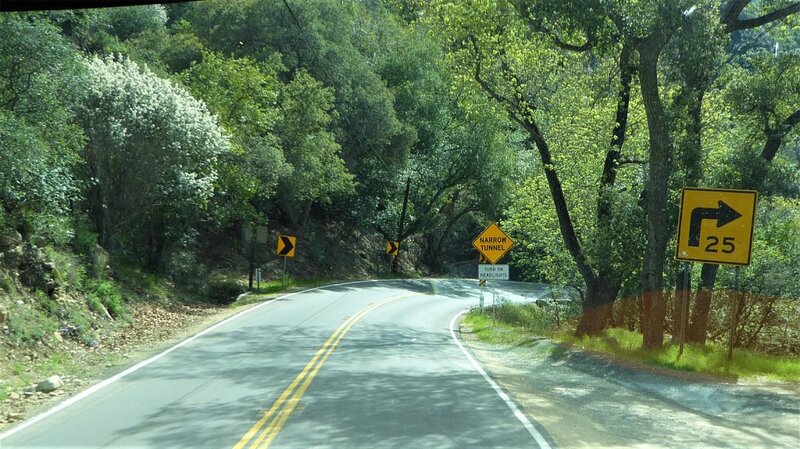 The road to Wheeler Gorge (CA Hwy 33) becomes a little twisty for large RVs once you get beyond Ojai. And there are 3 tunnels to pass through. 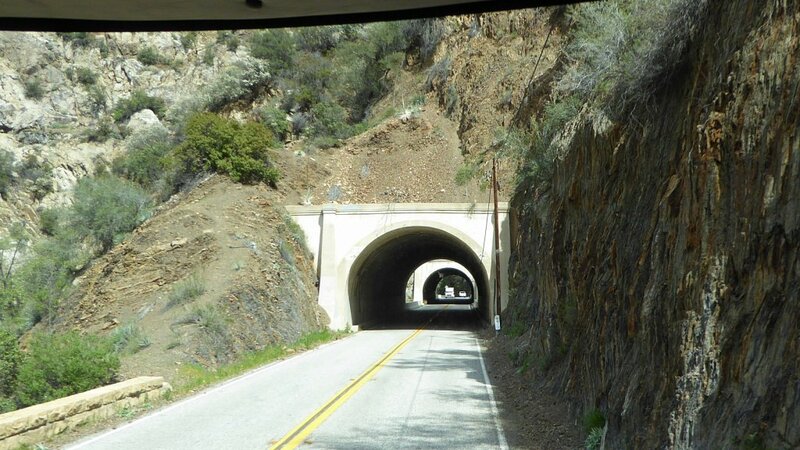 These tunnels were built in 1931. 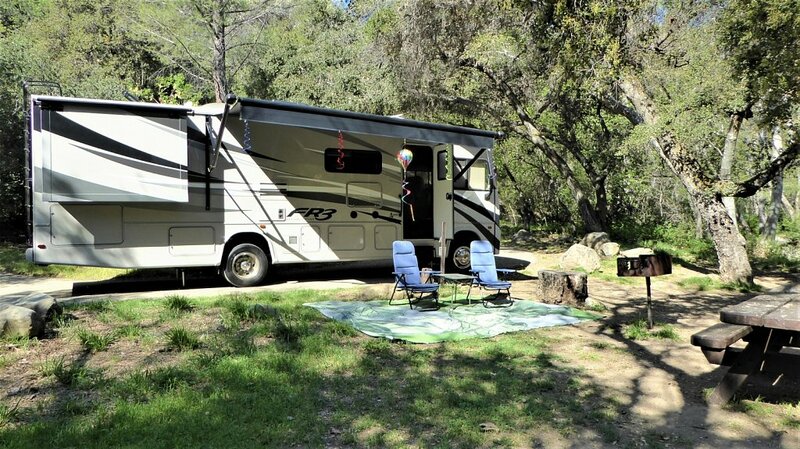 The CA Dept of Transportation says that the vertical clearance is 9 inches more than the height of our RV. 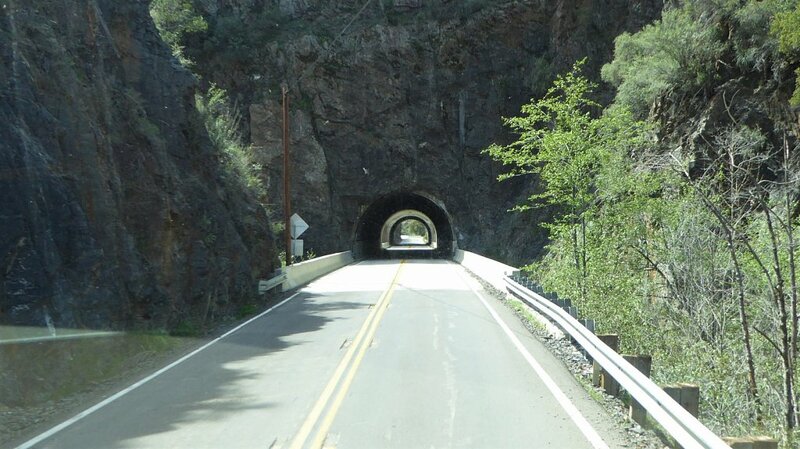 I had some concerns about whether the stated vertical clearance was in the center of the tunnel, or at the edges of the lane. 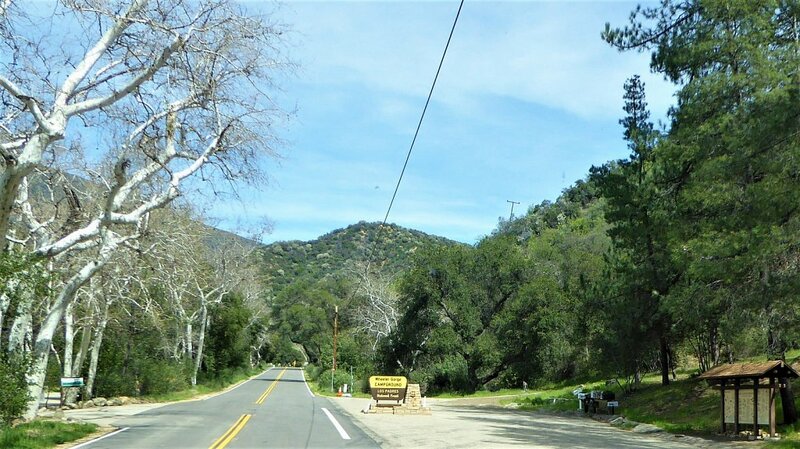 Here's the entrance to the US Forest Service's Wheeler Gorge Campground. 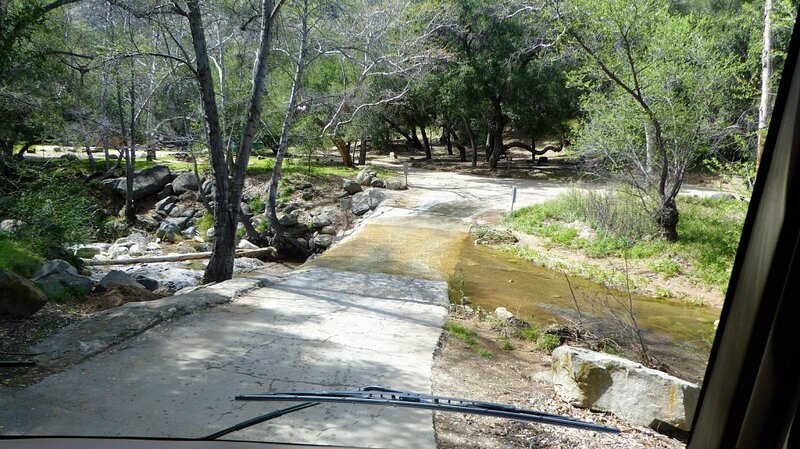 Matilija Creek runs through the middle of the campground, so we had to drive across the creek to reach our campsite. 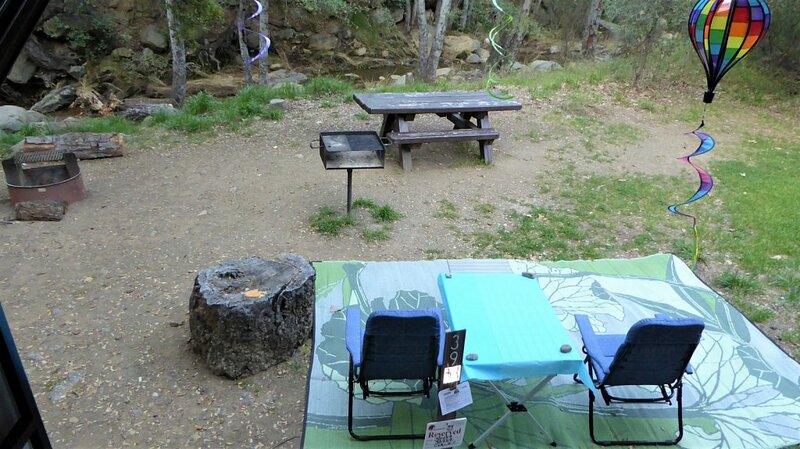 Our campsite was perfectly situated next to the creek. 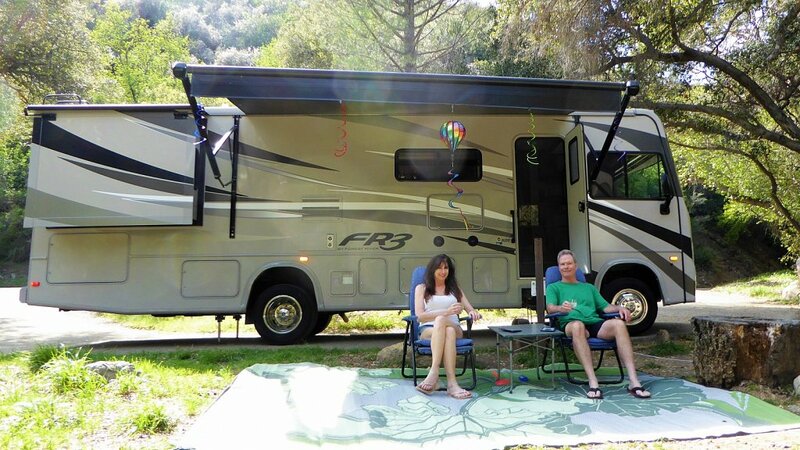 We loved listening to the sound of the water, the birds, and the breeze in the trees. 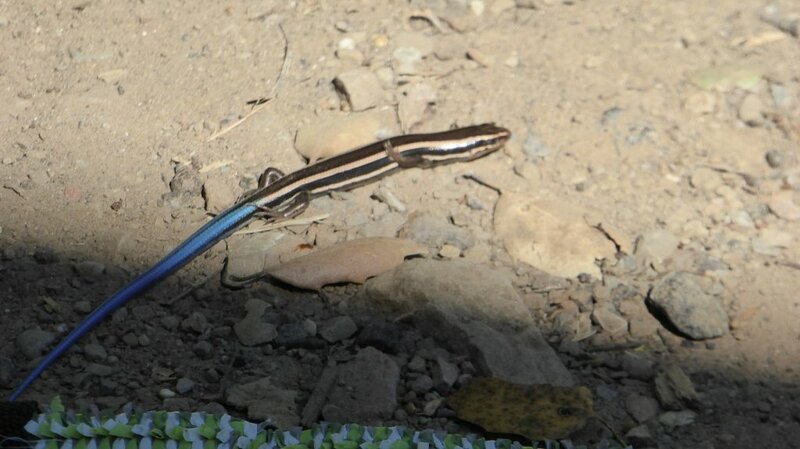 The local wildlife was friendly. 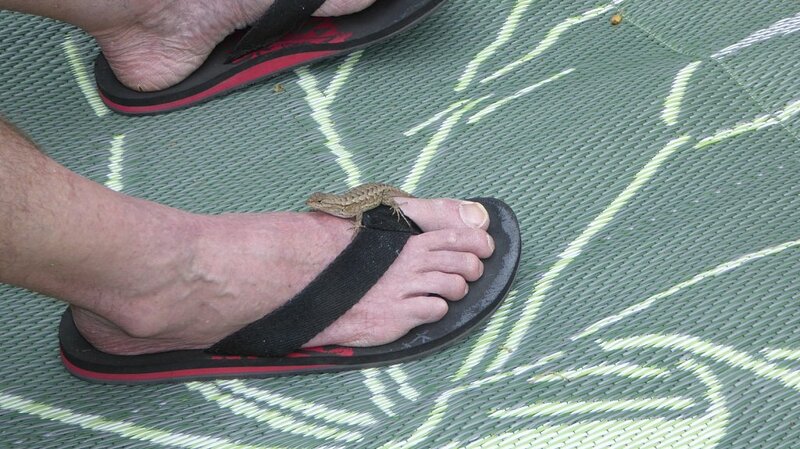 We thought this Blue-Tailed Skink might crawl onto our patio mat like the other lizard, but he went under instead. 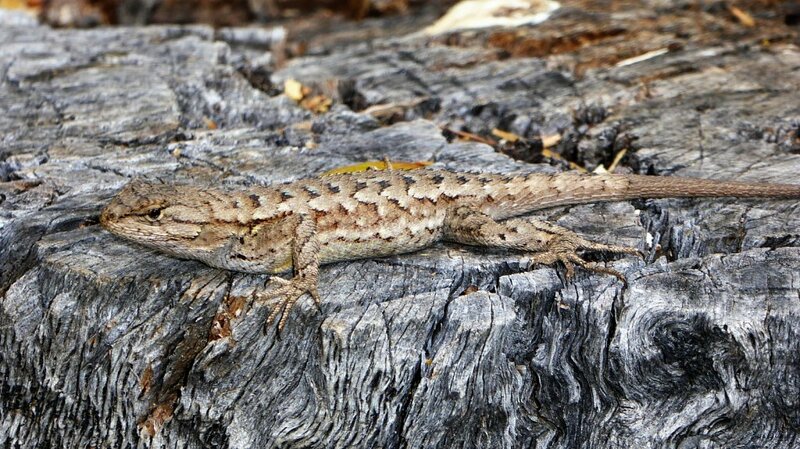 Ann took this photo while I was babysitting the steaks on the grill. We didn't use the provided grill, but it made a good stand for our own propane grill. 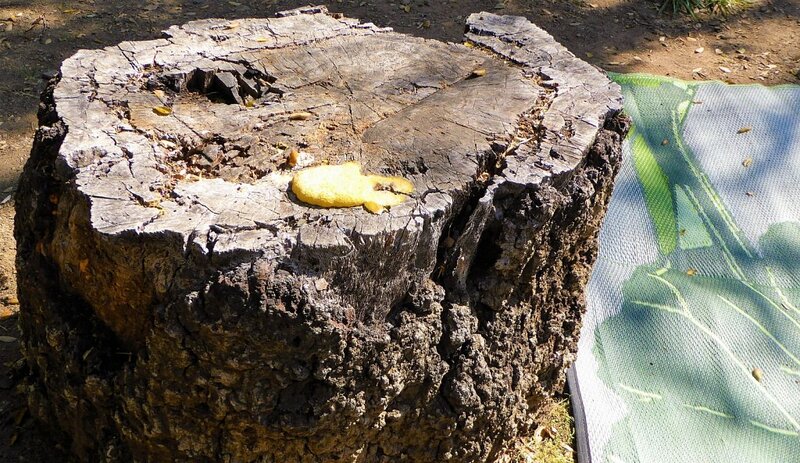 During the night this yellow mold grew on top of this stump. 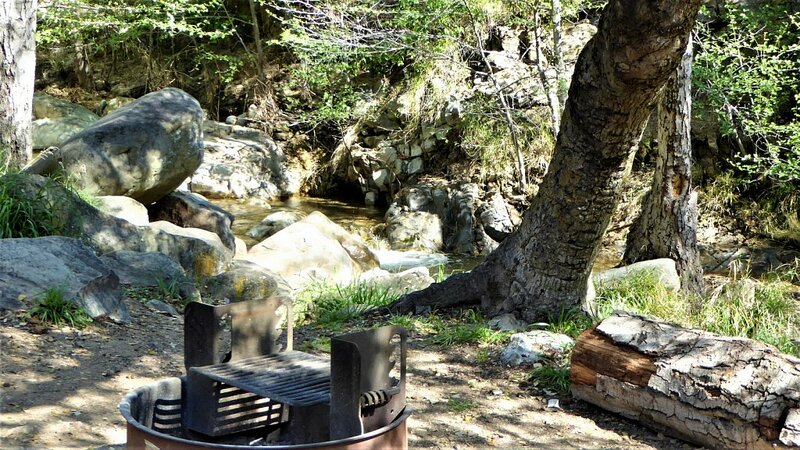 There's the creek at the edge of our campsite. 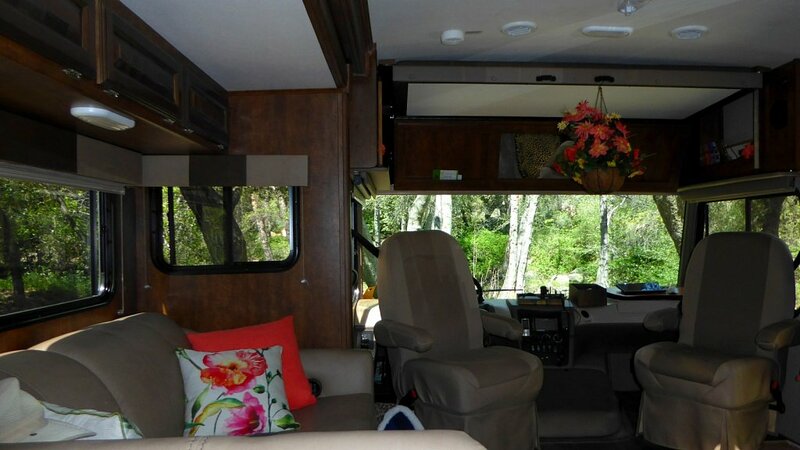 We had lovely forest views from our windows. 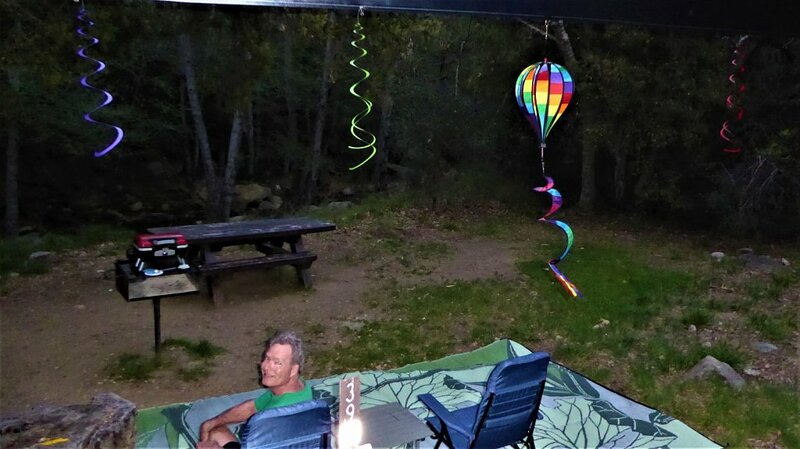 Besides relaxing and reading, we also played some games. 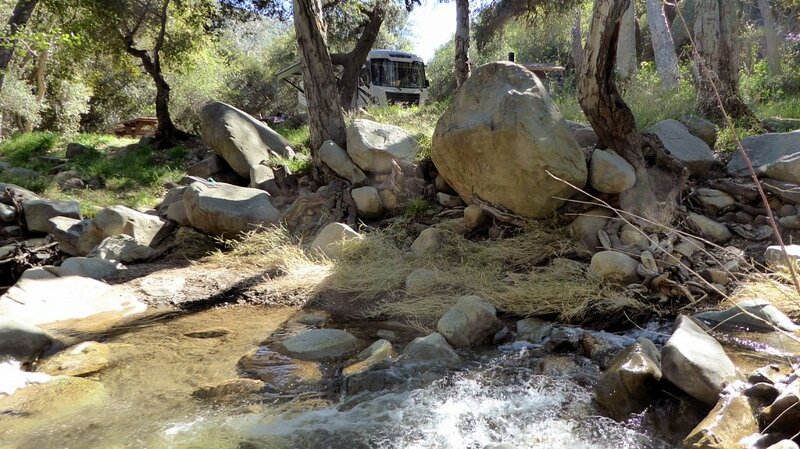 A view of our RV from the creek. 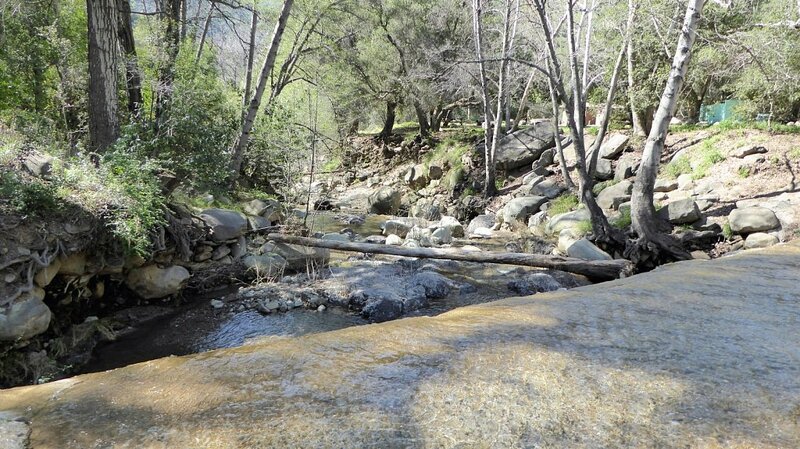 Looking downstream as we cross the creek again on the way out of the campground. 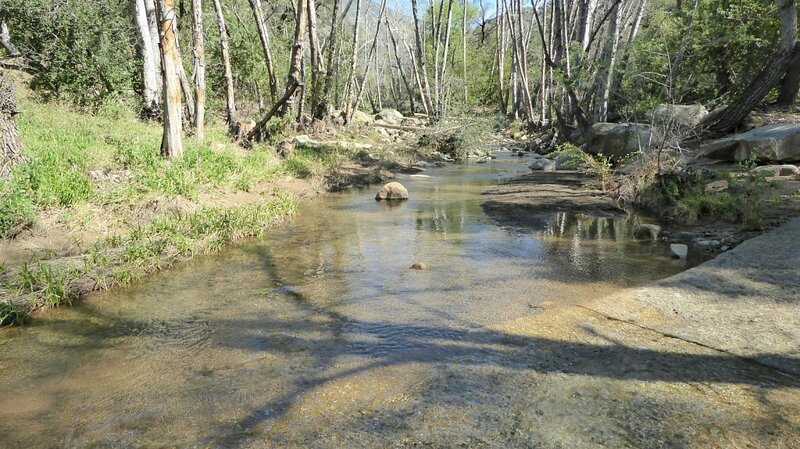 Looking upstream as we cross the creek again on the way out of the campground. 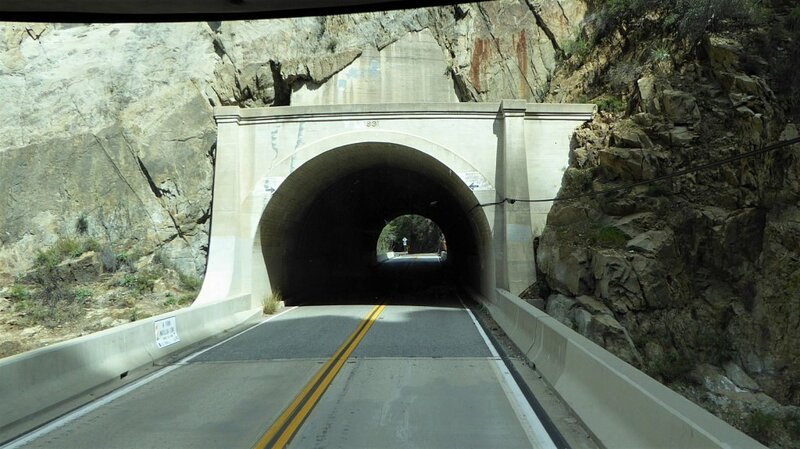 When approaching from the north, the tunnels look more rugged without the concrete "frame".